The iconic Beynon & Hayward building at 6 Livingstone Road Petersham has been granted heritage status by Marrickville Council after over 500 people signed a petition urging heritage protection, and a successful rescission motion passed at Tuesday night’s Council meeting by a 6-5 vote. “This is a great outcome for the community and preserving our precious heritage,” said Greens Councillor Max Phillips. “There was a huge response from the community when they learnt this iconic building was in danger of demolition for a car park. Many people know and love this building. “The Greens are pleased that this building will remain as part of the character of our area as well as our history. “Any redevelopment will hopefully adaptively reuse this building in a creative way,” he said. 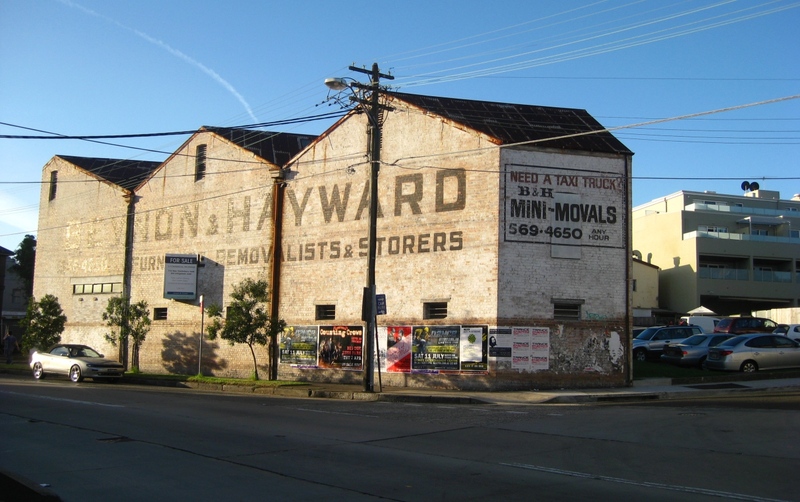 A professional heritage study conducted to NSW government guidelines found the building has significant heritage value, is one of the last few examples of this type of industrial architecture left in the Inner West, and recommend it be granted heritage status to protect it. The Greens first flagged heritage issues with the building in June 2009 when Councillor Macri raised the idea of its demolition for a car park. Attachments: 1) Report on Beynon & Hayward building is available here. 2) A photo of the building is available here.